they're bringing us ice in the winter. Class 6A final Saturday, Nov. 27.
its 47-14 victory over defending champion Tuscola today. Sterling Newman just started its game at 1 PM. Stillman Valley is scheduled to start at 4 PM. Lena-Winslow is dominating in its title football game, 39 to 7, with just over 4 minutes left in the third quarter. LENA (WREX) – Lena-Winslow High School is on the verge of their first state football title, and their leading rusher, Quinn Haas, is our Athlete of the Week. Please see and read the story: http://www.wrex.com/Global/story.asp?S=13566943. Hat & Shirt Combo Deal Only $20 - Get yourself a Rockford Foresters t-shirt AND a Rockford Foresters fitted hat for only $20. To take advantage of this great deal, please email us at joe@rockfordforesters.com. Items can be picked up at the Rockford Foresters office by appointment or can be mailed for only $5. Tickets & Merchandise Combo Packs - How about giving someone one of the new special packages that include a hat and/or a t-shirt and tickets to a game? Click here to learn about the new $20 and $30 ticket packages that can include tickets to 3 or 6 games. Party decks for the 2011 season are on sale. For a limited time the 25-person Pepsi Party Deck is only $25 and the 50-person Miller Lite Party Deck is only $50. Want to add waiter or waitress service? Only $20 more. To put your name on the waiting list, please email Josh at Josh@rockfordforesters.com. No deposit required. The schedule for the 2011 season will be coming out soon, so get on the list before everyone else! 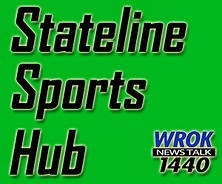 Next Tuesday, November 30 the Rockford Foresters will be announcing several player signings for the 2011 season. Make sure to visit the Rockford Foresters web site next Tuesday to see what players will be playing for the Foresters in 2011. As of right now, the Foresters have five players playing for the Foresters in 2011 including returning players Brad Winkler, Jake Nicholson, and Conner Kretz. New players include Brian McCabe and Jake Moser. Click here to learn more about the current five players on our 2011 roster. Opening Day Tickets For $1? What day is Opening Day for the 2011 season? We have no idea, but that isn't stopping us from offering you a great deal. Get a classic or family seat for only $1 for Opening Day! Limit is 10 tickets per customer. This offer is only available until December 31, 2010 or until 1,000 tickets are sold (total number of tickets available). To purchase your tickets, please email joe@rockfordforesters.com and let us know how many tickets you want. Visit www.rockfordforesters.com. Rockford, Illinois-Stateline football fans won't have to miss any of the action from the State Football Championships in Champaign this weekend. The three games involving our local teams will be televised live on Fox 39. LOVES PARK, Ill. – The Rockford RiverHawks announced Friday that they are part of a new three-league merger that will result in travel across three time zones between Lake Michigan and the Pacific Ocean. Read the full story at: http://www.rrstar.com/sports/x426772197/New-captain-plans-to-lead-IceHogs-by-example. BELVIDERE – The Belvidere North boys cross country team continued its successful season winning the Class 2A Sectional meet Oct. 30 hosted by Belvidere High School. Please visit: http://www.belvideredailyrepublican.net/index.php?option=com_content&view=article&id=5524:belvidere-north-cross-country-moves-on-from-sectional&catid=100:belvidere-north&Itemid=502 for the full story including scores. DEKALB — The implications were there for both teams. But only one stepped up and took control of its own destiny. LOVES PARK, Ill. – The newest general manager of the Rockford RiverHawks came in at the ground floor. Please visit: http://mystateline.com/fulltext/?nxd_id=208927 for the full story. Please visit: http://www.philpash.com/?p=outdoors for hunting, fishing, racing, and other great news stories. Please visit: http://www.wifr.com/sports/headlines/Stillman_Valley_Cruises_Past_Immaculate_Conception_106836583.html for the complete story and video. Here are the high school football playoff results for the second round invovling our local teamsl. Please visit: http://mystateline.com/fulltext/?nxd_id=208367 for the full story. NAPERVILLE — Homero Jordan could barely catch his breath, and when finally did, he couldn't convey his joy. Please visit the Rockford Register Star at: http://www.rrstar.com/sports/x742801767/Boylan-wins-3A-boys-soccer-title for the full story. Last month they were fighting to stay in the Northern League, but now it's being reported that the Rockford RiverHawks are looking to return to the Frontier League. Please visit the Rockford Register Star at: http://www.rrstar.com/sports/x742800944/RiverHawks-future-still-in-limbo for the full story. Best Western Clock Tower Resort has announced it will host yet another unique event: mixed martial arts (MMA) cage fighting. Please visit http://rockrivertimes.com/2010/11/03/clock-tower-hosts-mixed-martial-arts-event-nov-27/ to see the full story.